The death metal band from Bavaria – the conservative part of Germany – was founded in 2002 and issued the Illegimitation demo in 2003. Obscura was a 1998 Gorguts album. The 2006 demo was called Retribution. It would be re-issued by Relapse four years later. Relapse heard a promo release and signed the band. The debut was out in 2009. Cannibal Corpse and Dying Fetus were touring Europe in October 2009. 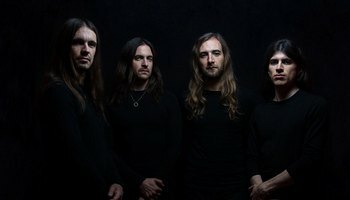 The openers for the European Plague Tour were Obscura and Evocation. Denmark’s Hatesphere toured North American shores in February and March 2010 with The Black Dahlia Murder, Obscura and Augury. Omnivium’s concept was based on Friedrich Schelling's On Nature's Connection To the Spirit World novel. Jeroen Paul Thesseling joined Pestilence in 2012. Following the departure of drummer Chason Westmoreland from Hate Eternal due to “family matters” the band recruited Hannes Grossmann to occupy the stool for the tour with Misery Index, Beyond Creation, etc. in 2015. The band changes members often. The rule is that every present musician has to be in two-dozen projects simultaneously and not be able to spell loyalty, devotion or focus.